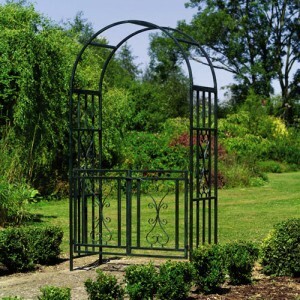 The gate is the central focus point of your garden fence, providing easy access and ornamental value. 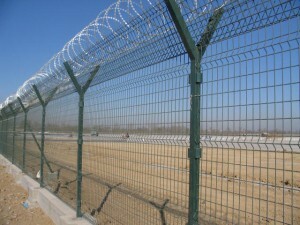 In order to build one yourself, you will need the following tools and materials: lumber to make the frame of the gate and metal angle plates to secure it, screening, a diagonal wood for strengthening, bolt or screw hinges for hanging the gate, a strip of wood for the stop of the gate and a latch for security. 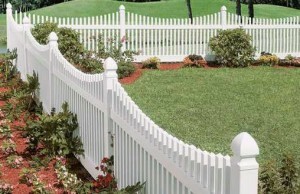 Decide on the position of the gate and make sure that the two posts you will use for the gate opening are square. 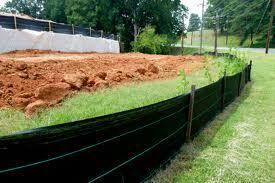 To do so, measure the posts at the bottom and at the top and readjust if necessary. 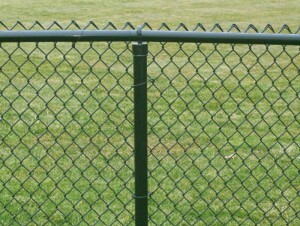 In order to set up the frame of your gate you must determine the width of the gate. 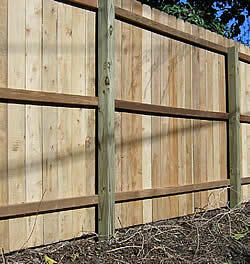 Simply measure the distance between the two posts and subtract 1/2 inch, or 3/4 inch if you gate is heavier. 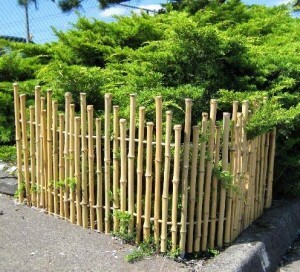 To make the frame you will need four wood pieces. 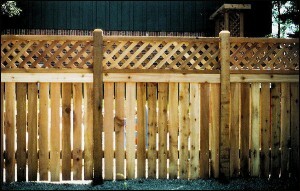 Cut two pieces of wood to the desired width of the gate and two more to the desired length. 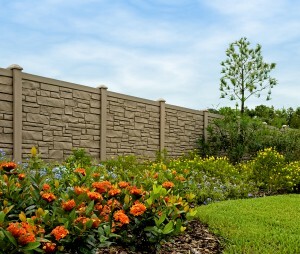 When you cut the vertical pieces it is very important to keep in mind that the bottom pieces will add length to your measurement. 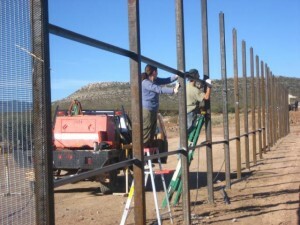 After you have aligned the pieces of the frame secure them using metal angle plates in the 4 corners. 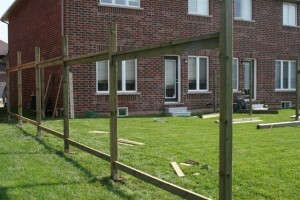 Keeping you gate square while you assemble is essential. 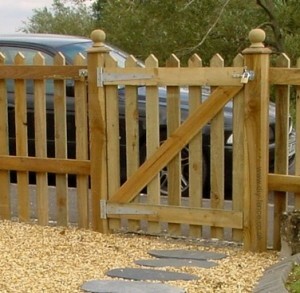 To provide more strength to your gate you can place a piece of wood diagonally from the top hinge to the bottom of the latch side of the gate and secure it using nails. 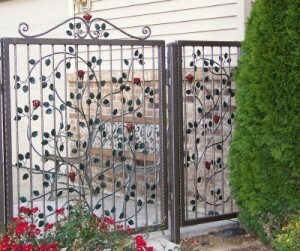 The next step is decorating your gate by adding screening. 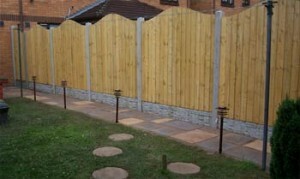 You have to cut your screening material so it can entirely cover the gate frame you’ve just set up. 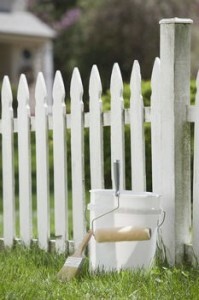 Paint the screening material and attach it on the side of the gate which is opposite to where you have installed the metal angle plates. 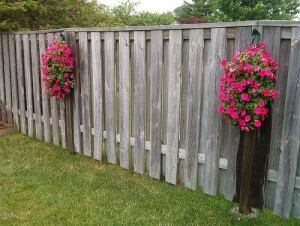 The last step is hanging your garden fence gate. 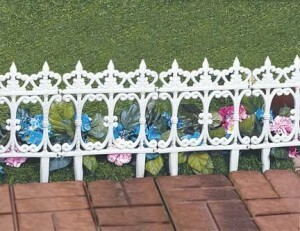 To do so you should first attach the hinges to the gate frame. 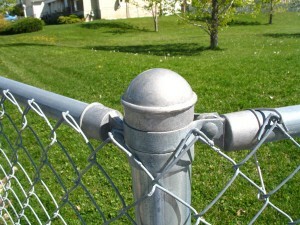 Then, while holding up the gate, attach the hinges to the post where your gate will be installed. 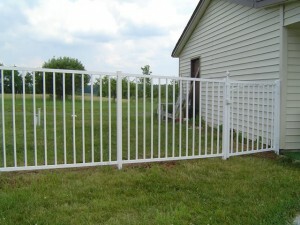 Decide weather you want the latch of the gate to be positioned on the top or on the side, according to the type of latch you have bought. 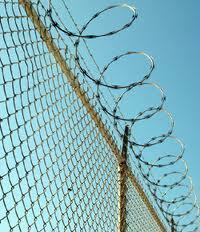 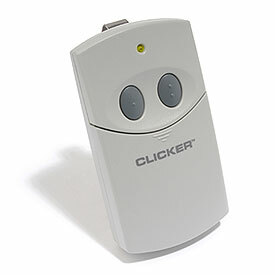 Now that you have finally attached the latch the only thing left is creating a gate stop. 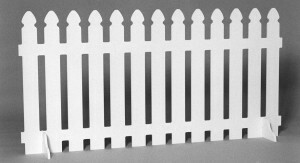 One way of doing that is closing the gate, marking its inside edge on the post to which the latch is attached and cutting out a strip of wood. 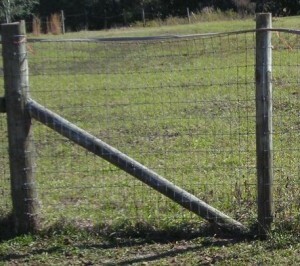 The strip of wood should be the length of the gate. 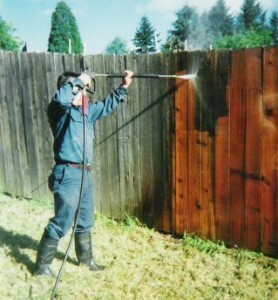 To make the gate stop simply attach the strip of wood with nails to the post.